The Mission: Be in Health® is to Establish Generations of Overcomers. The Vision: Be in Health® desires to make a positive impact on at least twice as many people in 2022 as in 2018. The fulfillment of this vision means that Be in Health® will reach 20% more people in each of the next five years, a 100% increase in 2022 over 2018! Double the number of our brothers and sisters that have seeds of hope and truth planted in their lives! Double the number of overcomers! Getting the word out through outreach is of primary importance. We will consistently invest in outreach to get the good news out that relationships can be restored and made whole; producing peace and health. Streaming conferences around the world from here in Thomaston. Social media presence on Facebook, Instagram, Twitter and YouTube. Search engine optimization to help people find us on the web. A primary area of outreach is the 15 Road Conferences that we will hold around North America in 2019. Over 50% of the people that attend a Road Conference are new to Be in Health®. In 2020 we plan to increase the number of Road Conferences as an integral part of the five year outreach vision. We estimate that a total of $1.2 Million will be invested into reaching people over the five year vision to establish more generations of overcomers! Be in Health’s® desire is to help people as is reflected in our mission of establishing generations of overcomers. We also want to be a vehicle for individuals to be able to help others. One of the ways that we do this is through scholarships funded by partners like you. History has shown that about 30% of the people that attend a For My Life® Program receive scholarship help. A key part of God’s vision for us is to expand scholarships to include more programs and even lodging. As more people attend retreats, the scholarship fund will need to grow accordingly to meet the needs. 331 people received scholarship help in 2018, a total of $136,200. However, the Scholarship Fund had a shortfall in 2018 of $57,400; a shortfall that Be in Health® made through the use of operating funds. We give scholarships based upon need and do not want to turn anyone away that truly needs help! As more people come each year we expect requests for scholarship help to increase. We estimate that 397 people will receive scholarship help in 2019 with a total need of $165,000. We anticipate a total of $1 Million in scholarships over the five years of the vision. 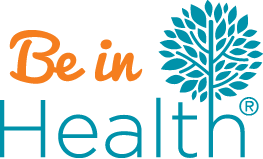 Lodging while attending a program at Be in Health® is another priority for us. Clean, comfortable, affordable accommodations and fellowship with like-minded believers are some important considerations for us and our guests. To assure positive lodging experiences, we have already upgraded the existing Hope of the Generations Retreat Center accommodations, we added eight new RV campers with canopies built over them, completely renovated the two bedroom single family dwelling including all new furniture. In the 8 tiny house cabins we have replaced all the beds (including the beds in the lofts), repaired and painted the exteriors and we are currently renovating the interior. In addition we renovated the bathhouse, improved the camping sites and the road, added a large fellowship tent and upgraded our RV sites. At the Hope Inn accommodations we have remodeled all the rooms by: replacing the flooring, painting the walls and ceilings, new furniture, new beds and linens. We plan to replace the existing entry doors with full view glass doors to allow natural light into every room at the Hope Inn. Upgrades and renovations will continue at both the Hope of the Generations Retreat Center and the Hope Inn to assure a comfortable stay for all our guests. Currently the maximum occupancy of these two facilities is 80 people. However, many times we have more than 80 people attend one of the Be in Health® programs. To be able to accommodate more guests, we will increase our accommodation capacity by building the Hope Lodge with 30 or more rooms on the Hope Inn property, which is a 3.3 acre site approximately 1 mile from our ministry campus. This new lodge will provide accommodations for 80 to 100 additional people. This is a total of $1.8 Million in lodging facilities and amenities over the five years of the vision. The total estimated cost to do all that God is calling us to do is $4 Million. God has given Be in Health® this five year vision and we know that what He has called us to do He will provide. We invite you to join with God and us by becoming part of the fulfillment of this five year vision. Thank you for joining us in this vision through your continued generosity in prayer and giving!